You've almost certainly played a game on your phone today. Some beautiful, high-res game with a rainbow of colors and fluid animation. You've got a lot of power in your pocket these days, but portable gaming owes a lot to the chunky old Game Boy, which is 25 years old today. 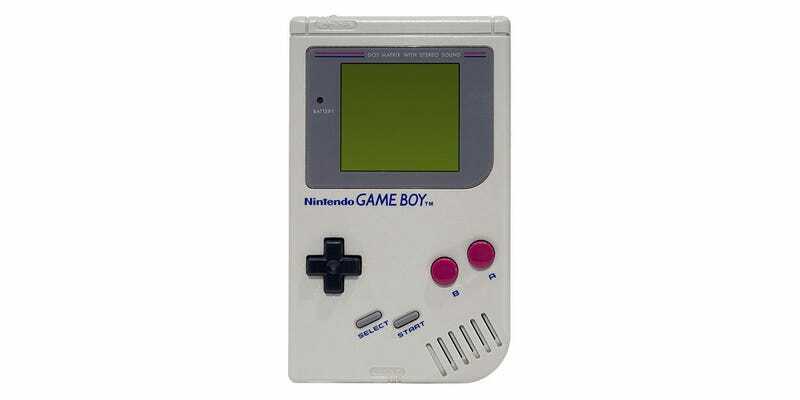 Released in Japan on April 21st 1989—it made its way to the States that August—the original Game Boy was the first in a long line of smaller, slimmer models one of which you've almost certainly owned. Still, that original was well worth its bulk and appetite for AA batteries for the magical ability to play Tetris on the school bus. In light of today's cellular pocket monsters, the original Game Boy's specs are adorably meager. All that said, you're bound to have fonder memories of your very first Game Boy than any of the touchscreen beasts that followed in its wake. There's just something about a gray monolith with purple buttons that can really work its way into your heart.